Now, if you are asking yourself what is the best hoverboard that you could get this year for you among multitude of products on the market we have tried to figure it out so you wouldn’t waste your time. Among all possible two-wheel self-balancing scooters or hoverboards here is the review for top 5 hoverboards by us. How we ended with these 5? The EPIKGO hoverboard is deffinitely our number 1 choice among hoverboards present on the market. 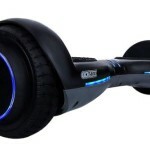 This is the must have hoverboard which will bring to you a new dimension of hoverboard experience. Why? Well, except robust all-terrain tires and futuristic design it has two 400W motors (one for each side) with independent Gyros. Also, this model is equipped with 3 driving modes (learning, standard and pro mode), so the rider could be more comfortable on the hoverboard before mastering it. The driving range is aproximately 12 miles with 1-2 hours recharging time. Also, it can reach maximum speed of 10 mph. And it is not all. EPIKGO is equiped with 10w Bluetooth speakers (Premier Series only) and beside primiraly model in classic grey color it is available in Rose Gold, Gold and Silver color. At the moment Clasic Grey EPIKGO is available on Amazon . Rose Gold, Golden and Silver Editions are also available but for higher price. Check the prices here. And don’t forget to check our latest review on EPIKGO Sport Series. After its debut in March on SEC2017, Swagtron T6 is finally available on the market. 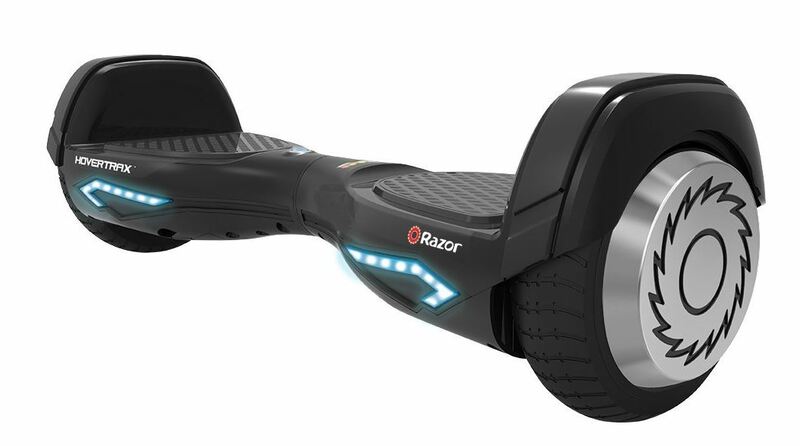 Swagtron makes a big comeback after series of complaints about its T5 hoverboard made for beginners. 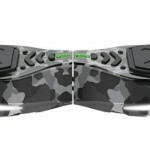 Unlikely T5, Swagtron T6 is made for pro riders which are in the quest for fast and stable off road experience. The Swagtron T6 is, so far, the biggest Swagtron hoverboard equipped with 10″ inflatable rubber tires mounted on aluminium rims and powered with two 350-watt motors. The maximum speed of T6 is around 8 mph with maximum driving range of 12 miles with turning radius of 0°. Also, it is the first hoverboard with load capacity up to 420 lbs. Also, you can read our full review on Swagtron T6. 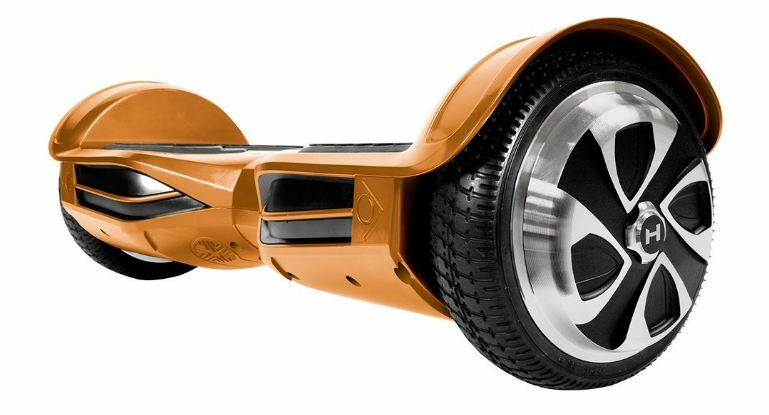 Now, it is not truly a hoverboard (but which one really is, right?) but keeps you running with style and elegance as one of the most popular and coolest on the market. 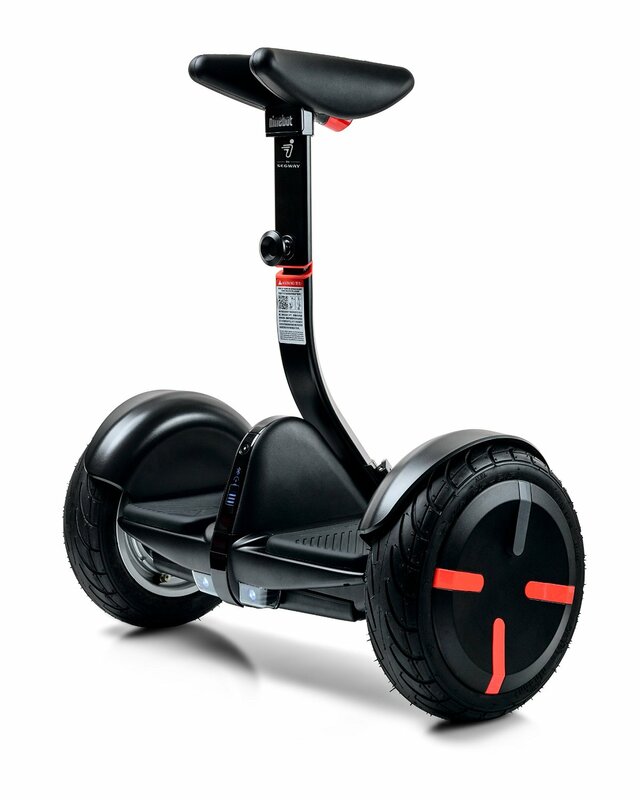 Ninebot by Segway miniPRO represents a true descendent of his larger cousin Segway and comes with mobile app control. You can connect with your Ninebot by Segway MINI PRO through free mobile app via Bluetooth which enables you remote control operation, anti-theft alarm, speed control, customizable lights, vehicle diagnostics, firmware updates and a lot more. This hoverboard has high standards of fire and electrical safety and weights 220 lbs. Maximum speed is 10 MPH with driving radius of 14 miles before battery recharging. This model is equipped with padded knee central steering column for safer and easier steering. Enjoy yourself and ride with style because this model is for comfort lovers and trendsetters. And now it’s on special deal at Amazon . Don’t miss it. Vecaro is US based company and brings to us full line of hoverboards for smooth surfaces as well as all-terrain hoverboards. The newest in their line of hoverboards is DRIFT X off road hoverboard (check our full review on Vecaro DRIFT X). As other Vecaro hoverboards DRIFT X is UL2272 certified and it has improved and upgraded design and performances. In the past Vecaro used to give us hoverboards in really cool variety of metallic colors giving the cool appearance and they kept this practice with DRIFT X. DRIFT X is powered by Samsung 36V Lithium Ion battery pack made with authentic leg cells (20 Samsung cells per battery for longer riding experience) and certified chargers in order to prevent fire hazard. With beautifully designed chassis and sport tires made for all surfaces you will definitely enjoy to ride it. Hurry up since it is on discount at the moment!!! Vecaro DRIFT X hoverboard is a 2018 model with Bluetooth for smart phone connectivity and Ride Control App. Through this app you can personalize your hoverboard by giving it unique name, change the access password, set maximum speed, adjust sensitivity of your hoverboard etc. Hoverzon hoverboards are quality products with reasonable price. They use UL2271 certified batteries with the latest HOVERZON Aegis Armor battery protection, fireproof exterior casing and sensor pedals. 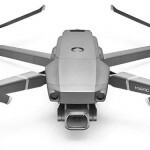 Hoverzon is Amazon’s label with three models – Hoverzon S, Hoverzon XLS and the latest Hoverzon Xs (more about Hoverzon hoverboards read in our full review). Basically, they are equivalent to Swagtron’s Swagtron T1, Swagtron T3 and Swagtron T5 hoverboards with same characteristics. Hoverzon S is a “basic model” with 250 watt motor which enables the rider to run as fast as 8+ mph. The maximum radius of one fully charged battery is just 12 miles. Recharging of the battery requires approximately one hour. This is UL2272 certified model with really durable design and customers are satisfied with it. If you are in search for upgraded hoverboards with some extra features you may like better Hoverzon XLS. The main differences between Hoverzon S and XLS are dual independent motors, high quality Bluetooth speakers, the futuristic stylish new look, the in-built carrying strap, the 5 point battery charge indicator, the Smartphone App, and and multi-color, front and rear LED movement indicators. But remember, Hoverzon XLS costs a bit more (compare prices here). Downscaled version of miniPRO, Segway miniLITE, is finally available on US market since September 2017. Segway miniLITE may be scaled down but definitely not downgraded hoverboard by Segway. It is more version for younger riders in urban environment looking for free spirit as well as all perks that miniPRO offers to them. Because of that miniLITE has same 10,5″ pneumatic tires as miniPRO, same maximum speed of 11 mph and it is fully compatible with miniPRO app so you could personalize your riding experience to the maximum. There is one more perk, the charging time of Segway miniLITE is 3 hours comparing to miniPRO 4 hours. At the moment you can buy it on Amazon. Razor is well known and trusted company established in 2000 and till today has grown to one of the leading companies on hoverboard market. Razor Hovertrax 2.0 is the upgraded version of already well known Razor Hovertrax 1.0. Razor’s Razor Hovertrax 2.0 is one of the top hoverboards (two-wheel self-balancing electric scooters) with UL2272 certification (it means that this model is in compliance with new strict safety regulations). With 2.0 edition Hovertrax is experiencing strong comeback as high quality product with very affordable price and you can find it in black, white, red and blue color.